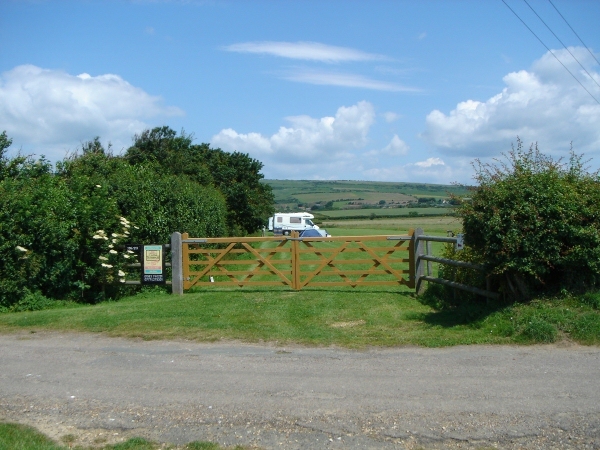 In addition to our holiday cottages, we have a have small exempted Camping and Caravanning Club CS site in a separate location at Thorncross Farm. Campers must have club membership. They can join on-site. 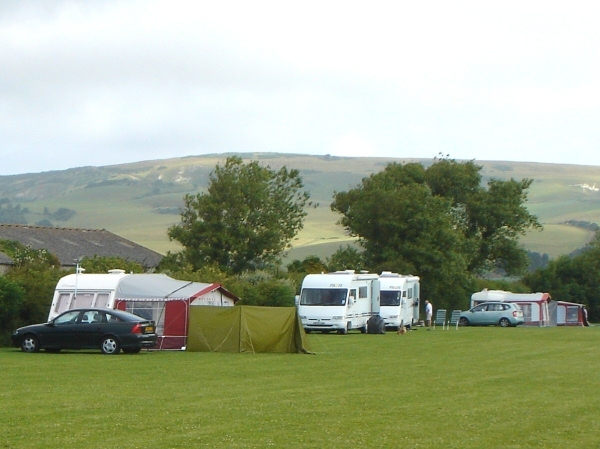 We currently do not have washrooms or toilets so the site is best suited to motor homes or touring caravans. However, campers are accepted if they have suitable chemical toilet facilities. Children are most welcome but it is important to note that we do not have designated children’s play area. Farm access is restricted for their safety. The well-spaced pitches are equipped with electric hook ups and water. There is a chemical disposal point and waste bins are provided on site. We allow well-behaved dogs so long as they remain on leads at all times. 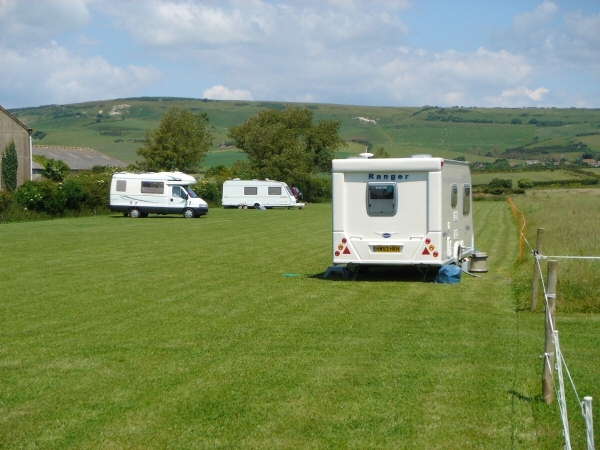 Dog owners are required to ‘clean up’ and to ensure their pets do not disturb other campers. The site has wide ranging views especially to the north and east. Sunrise over the downs can be most impressive for the early risers! If you walk south for 0.5m to the cliff at Barnes’ high you will see spectacular sunsets to the west beyond Tennyson down and the Needles. There is a comprehensive network of local footpaths. Many visitors choose to abandon their vehicles for the day and set out on long circular excursions. It is surprising how far some of them have gone. Others have brought their bicycles to explore the local network of country lanes. There is even a well signed sixty-mile round the island cycle route that passes through Thorncross for the even more ambitious! A lot of visitors prefer the seaside and the south west coast has the best natural beaches on the island. 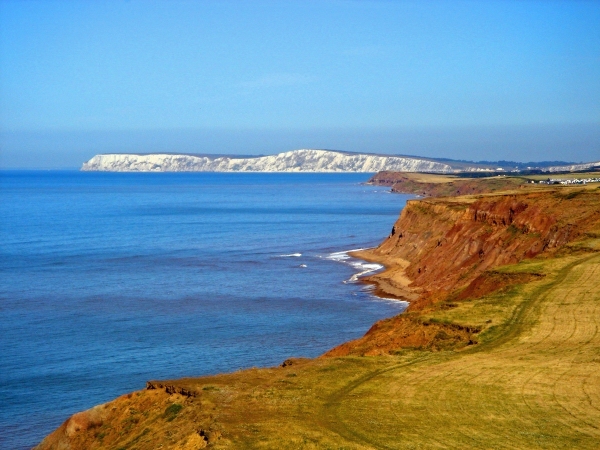 Heading westwards from Brighstone there are several sandy bays including Compton Bay the best beach on the Island. 2 Adults, 2 Children + 1 Unit £11 per night. 2 Adults, 2 Children + 1 Unit plus hook-up £14 per night. Extra Adults (over 16 years old) £2 per person per night.